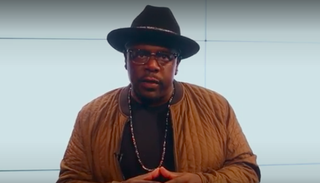 In a newly released voting public service announcement, Cedric the Entertainer, Meagan Good, Russell Simmons, Tisha Campell-Martin, Chris Spencer, Logan Browning, Kendrick Sampson, Keisha Epps, Glynn Turman, Erica Campbell, DeVon Franklin and Dijon Talton explain why everyone must get out and vote for the right candidate. Artistic Alliance for Justice PSA producers Steven Jones (Brand Maverick Entertainment) and Kendrick Sampson (ABC's How to Get Away With Murder) created the concept of the PSA to both inform and educate people of color on voter-suppression tactics most frequently used to deter their voices from being heard on Election Day, while providing concrete solutions on how to prevail against said tactics. “I vote to show that I give a damn,” Cedric the Entertainer said. “To serve as an 'elected' official is a privilege that must be earned by the people who put their confidence in you to speak on their behalf. Your vote let's them know you’re watching and expect results. We the people must be heard!!! Use your voice! Vote!" Comedian Chris Spencer definitely made it clear regarding who's getting his vote.